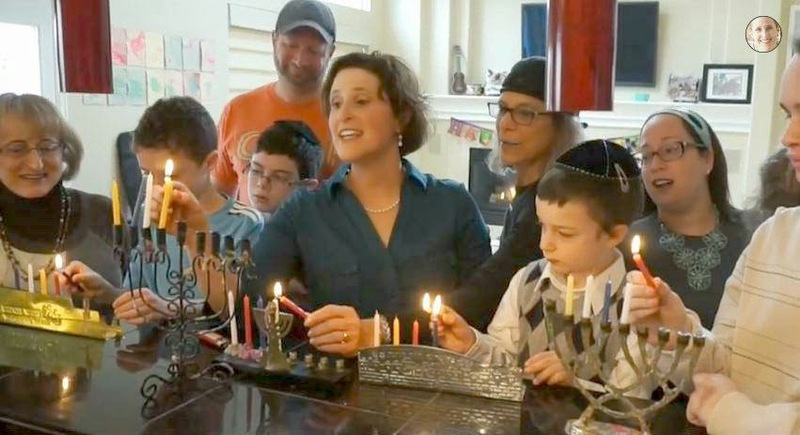 Jewish Humor Central: Julie Geller Lights the First Chanukah Candle - "Shine With Me"
Julie Geller Lights the First Chanukah Candle - "Shine With Me"
Tonight we light the first Chanukah candle, and we can't think of a better way to get the eight-day holiday off to a happy start than to share with you another new, original song by Julie Geller. Last year Julie gave us new, original songs that she composed for Passover, Rosh Hashanah, and I Believe in Miracles for Chanukah. Now she's done it again with another new song for this year's Chanukah celebrations called Shine With Me. We hope it enhances your Chanukah experience. Enjoy.